Do u have any All Time Low merchandise? No, but I want some. What's your favourite fifth track from each album? What's your favourite sixth track from each album? What's your favourite seventh track from each album? What's your favourite eighth track from each album? what sneaker size do Alex, Jack, Rian and Zack wear? It's a vicious little world that we live in." of do u want me dead?" I'm staring down the barrel of a loaded night." call it treason while u can." as the last I spend regretting what I have." let's make this night a classic." And mark a place in time for every chance u took?" The remains of my wasted youth?" "Tonight is alive with the promise of a street-fight,"
"I'll make your past regret it's future." but I think its time to verplaats up, so go on and blow us away with your sound." to all the nights that we forgot to get back home. we've got to let this go..."
and all the time we've been so innocent." tonight our dreams come true." when all I see is you." 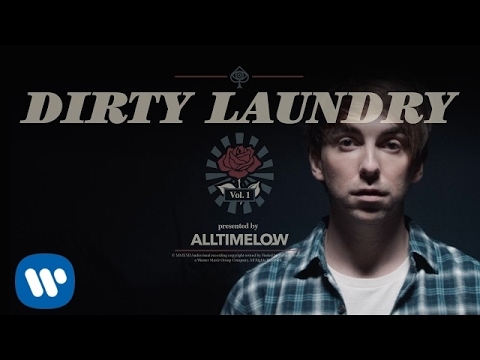 Backseat Serenade: Alex Gaskarth told Billboard magazine that this song about falling for someone but not being able to be with them is, "a really cool culmination of old All Time Low and future All Time Low." Damned If I Do Ya (Damned If I Don't): This was All Time Low's first song to chart in the Billboard Hot 100. Bryanstars: (To Jack) "You're constantly nurturing him? (Alex)"
Jack: "I'm constantly breast feeding-him, it's pretty good. Sometimes he bites too hard." Bryanstars: "Most important thing in the world to me (you two) is?" Alex: "Jack was my first friend when I switched school's. He was, he was my homeboy." Bryanstars: "What's the weirdest fanfiction you've ever read?" Listen to their new song "For Baltimore" on Alternative Press now. it's in russian but, this cover is amazing!!!!!!!!!! a comment was made to the poll: Do u have any All Time Low merchandise? What is Alex's dad's name? What's Your Fav ATL Song!??? All time low in the Philippines!